Update 2018 #YOLOmites5000 3.0 edition: We will be back again on the #YOLOmites5000 roads on September 8-9th 2018. If you want to get in make sure you book a place to stay early enough. If you are traveling from abroad check the Holimites Rent-Ride-Relax offer with free road-bike rental. If you don’t find any rooms with this solutions write us an E-mail. Will there be a 2017 edition? Withouth any doubt … yes! The first issue was planning a route to get 5000m of climbing in 100km. It would have been possible but that meant too many walking sections and the ride was more suited for a mountain bike. But we wanted a DROPBAR only ride! 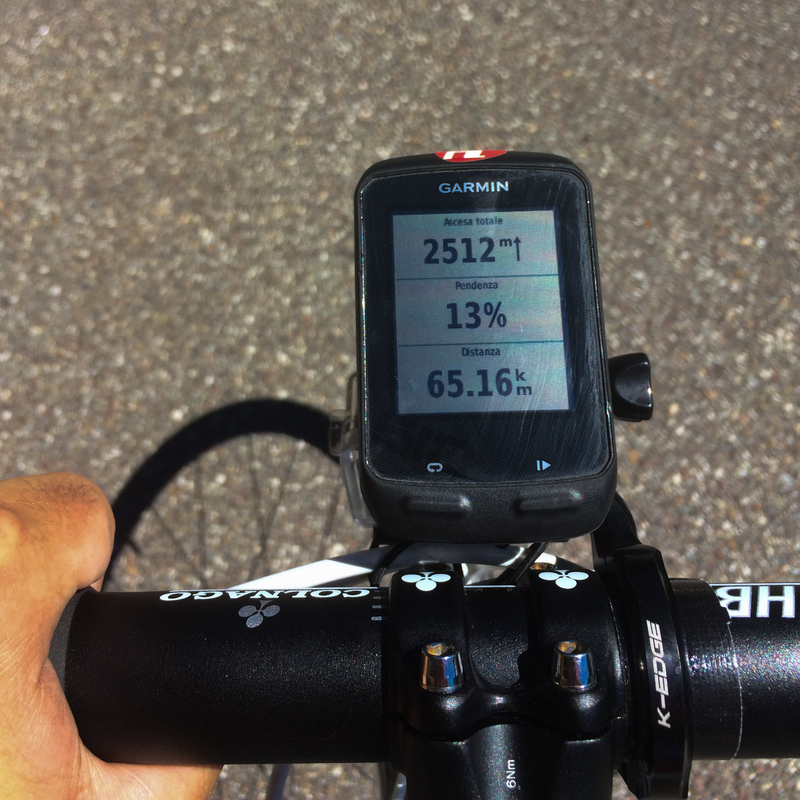 After some retouching and lifting the lenght of the ride ended on the computer at 125 km. During my training rides I already rode all of this sections, but never all at once. It looked though already on a screen, try to image riding it. The start is in front of my home at Ustaria Posta. Colnago CLX 3.0 carbon with 34×28 mounted (yes Jered, for this occasion I’ll put some companions after the 25er) with 23mm tires. I planned the route in a way to generally avoid all main roads of the Badia valley. This way the start is already on a ‘gentle’ 10% gradient, a nice little ‘appetizer’ for the muscles in order to get ready to what comes later in the day. But this also means the views are amazing since the beginning of the adventure. 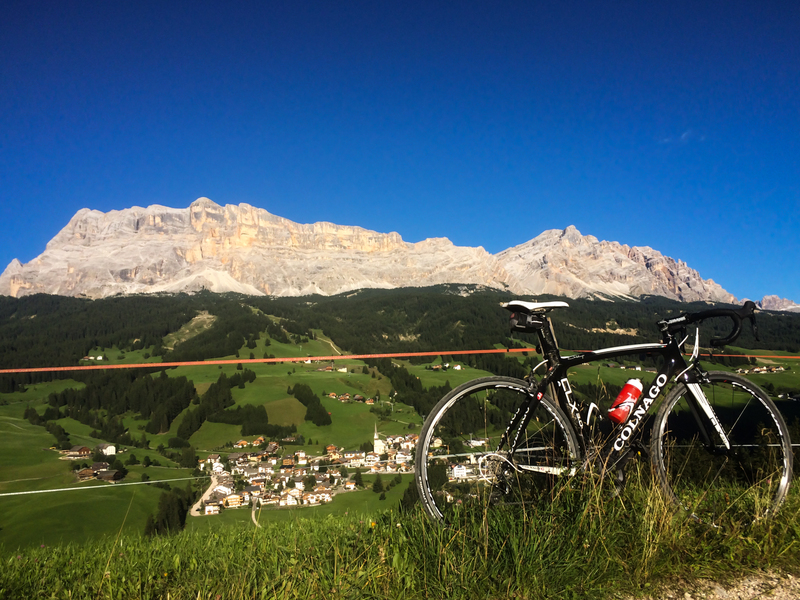 Short into the climb above the town of Badia you can admire the only glacier of the Dolomites, the Marmolada at the horizon. The steep majesty Passo Fedaia ends exactly at the feet of this glacier. Only 3,5 km into the ride we enter one of Jered’s favourite parts (video here). A steep single track, renamed by me the “Mushrooms picking section” because most of the people will need to put for the first time their feet on the ground. 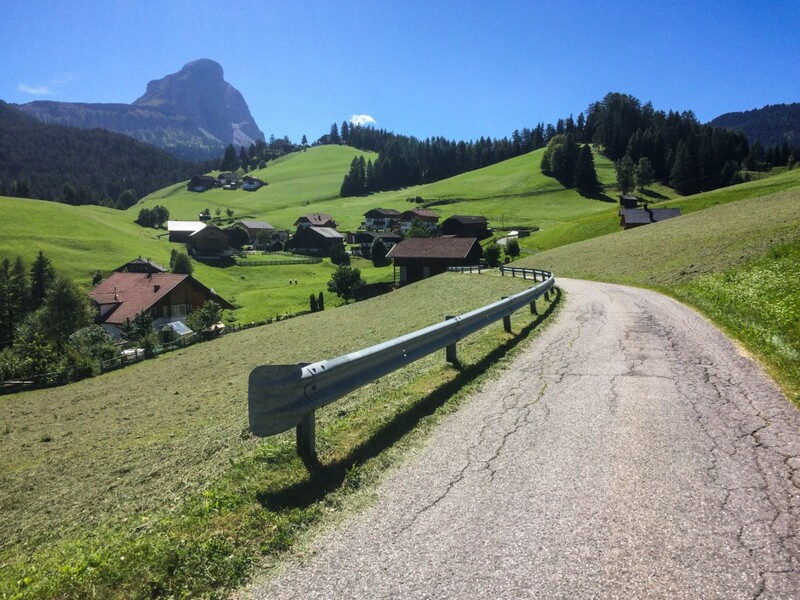 As soon we reach the Passo delle Erbe we descent the last 4 km we climbed. We will then take a sideroad to reach the valley bottom again. Then it’s time to deal with the Passo Furcia, at the beginning we will follow a side road only used by local farmers. A concrete section will top the 24% gradient, but it doesn’t get easier afterwards because we will remain above the 10% all the way to the top of the Passo Furcia. 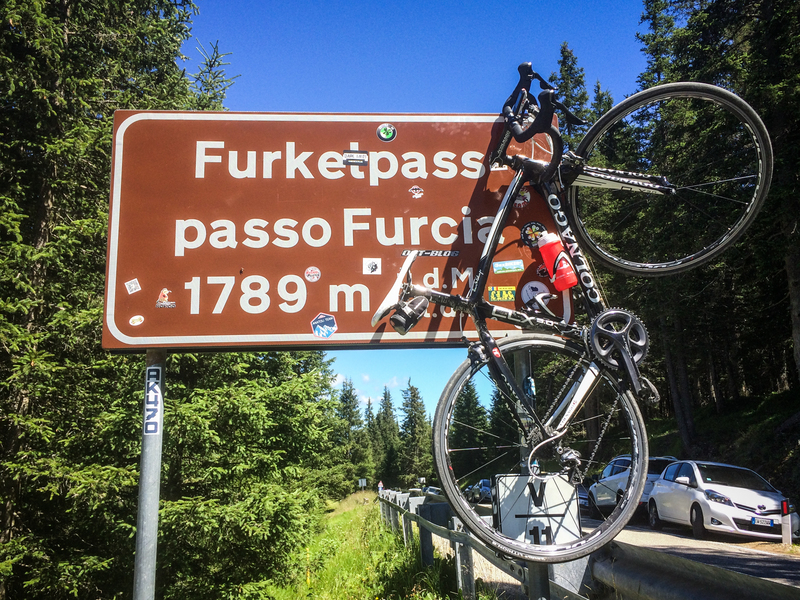 The Passo Furcia is our turning point. It’s not only the farthest we are away from our starting point but we are also half way of our 5000m goal. Descending the Furcia we reach the town of Al Plan de Mareo (San Vigilio di Marebbe). It’s a nice cozy town, really inviting for a stop for lunch. Imagine you are at sea and you see sirens .. it’s some kind of trap. You will have all the extra weight from stopping in town all the way up the next hard section. It’s also the point where things become serious, let your legs beg for mercy … not your stomach. 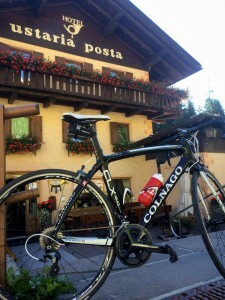 Oh yes and of course at the top of the climb there is a nice place to stop for a snack. The climb to Jù is paved on the first part. The final 200 meters are all above 22% on gravel. Have to be honest, I had to put my feet on the ground here. 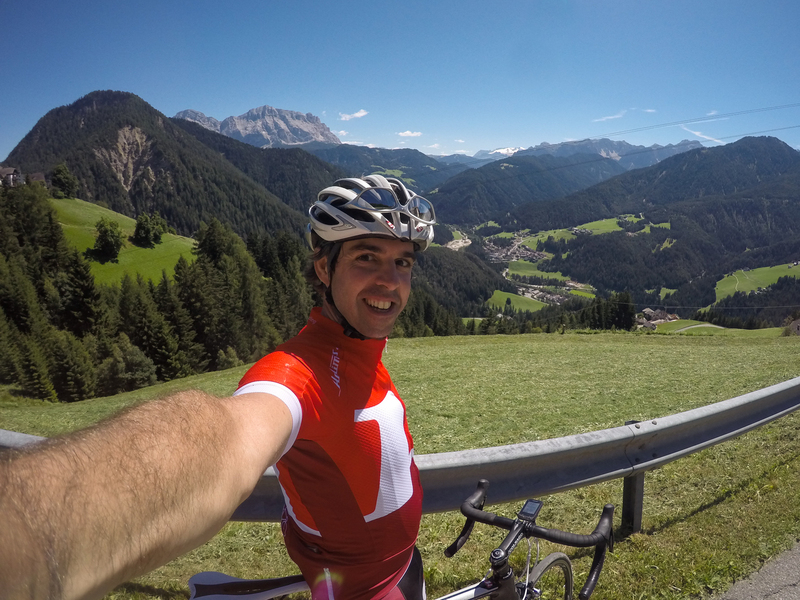 It’s not all amazing roads and grand vistas on an @igortavella ride (but it is all those things). With all that fantastic, there’s the very real possibility of putting two feet on the ground and walking. All of us – me, @aggroandy, and Igor – had to give it a push today on the nasty little climb to Jù. Loved it. The best part? 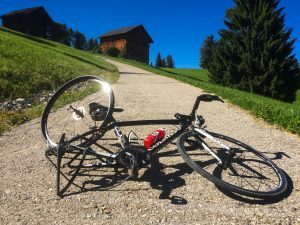 That wasn’t the hardest climb of the day! 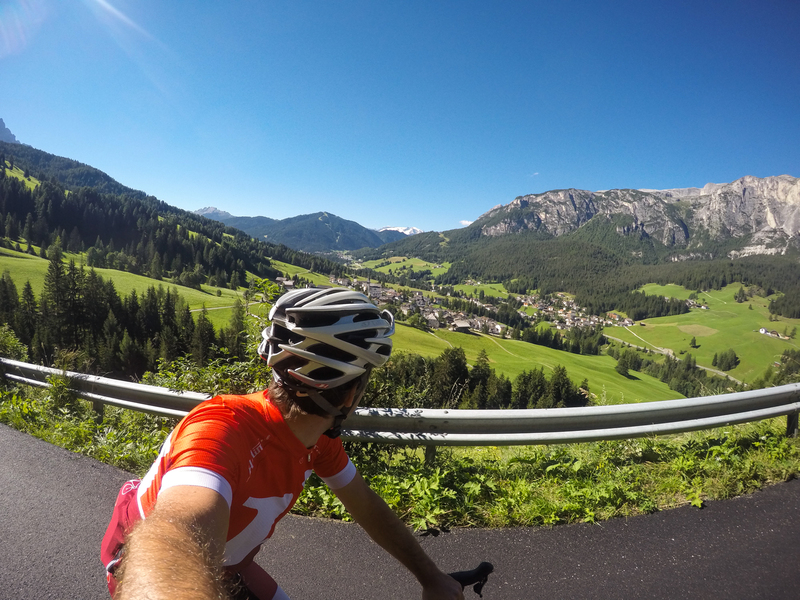 For tons more images – because I’ve started posting pics finally – follow me on Strava! 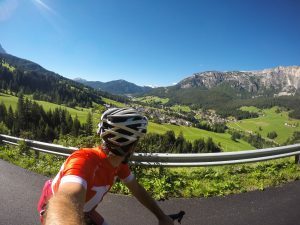 strava.com/athletes/5994. Hyperlink on my profile page. 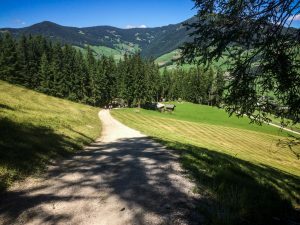 At the top of each climb during the day we always see in the background the Sas dla Crusc mountain, just take it as your orientation point because the starting town of Badia is placed at the feet of it. 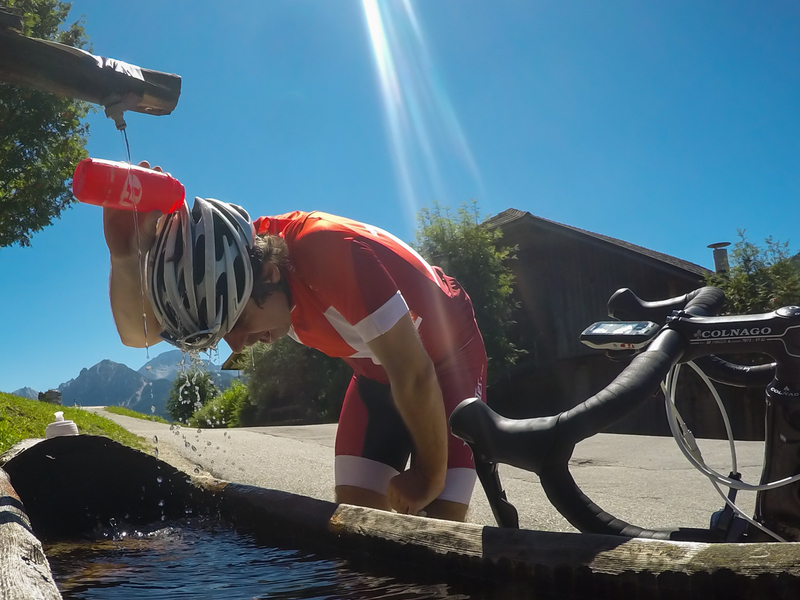 If there is a thing we have in abundance in the Dolomites is fresh fountain water. You don’t have to worry about this, fountains are everywhere and don’t even try to go in a supermarket and buy water filled in plastic bottles. Think GREEN! 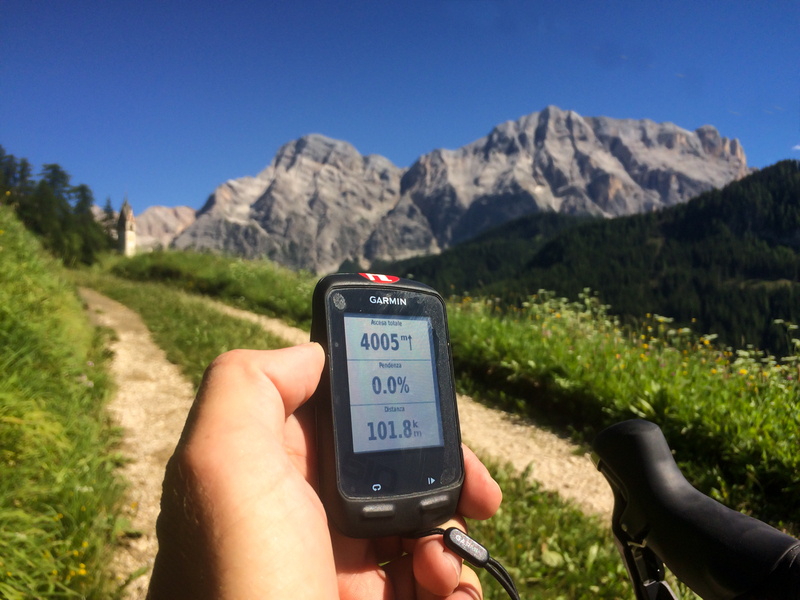 When we end in San Martino in Badia 1500m of climbing are missing to reach our 5000 goal. 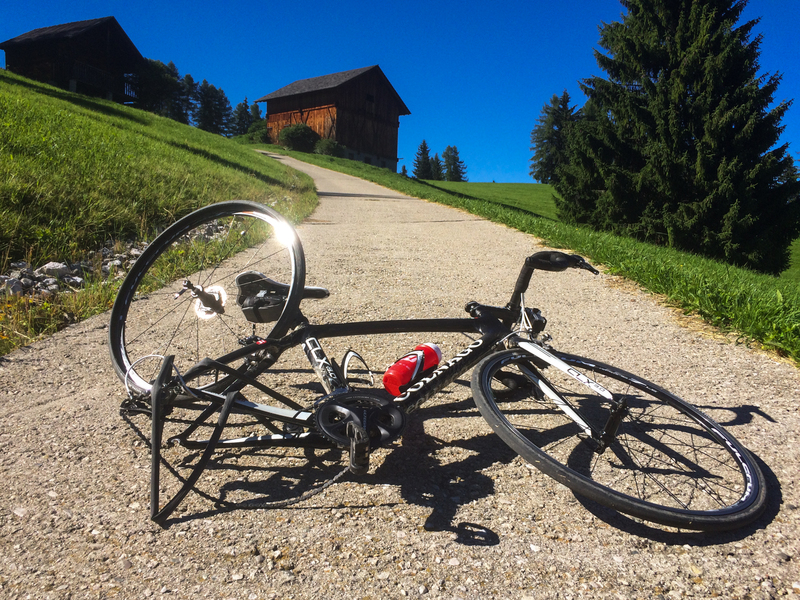 Other 2,5 climbs are on the ‘Menù’ … and what is worse than having a flat on a concrete section with gradients above 20%? Yes flats will be an issue, if you ride this loop alone be sure you have spare inner tubes with you … but most important, a spare tire too. The times I rode this roads I always got a flat because the tire had a cut. For the people that will join the YOLOmites5000 event things are easier, we plan to organize some points with spare parts so that you just need to carry the essential spare parts with you. When will sign up for 2019 occur? This looks wonderful!!! !